Over the years I have found that New Yorkers have strong opinions about their favorite chocolate chip cookie. I think this is because our personal cookie style and texture preference is solidified during childhood. As we age, the emotional connection remains. And the easiest way to reconnect with your childhood is to experience your favorite cookie. Or, it could just be people like butter, sugar and chocolate chips! 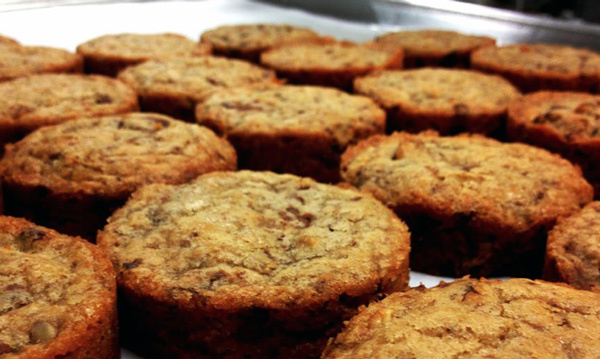 Recently, I asked some of the best pasty chefs (who aren’t listed on my restraining order), who bakes their favorite chocolate chip cookie? I expected to get 20 diplomatic answers of “well–it’s hard to say, ther’re all so good…” But to my surprise, many were willing to share their their opinions. All of these chefs spent some time working in New York kitchens. Johnny Iuzzini, former Executive Pastry Chef at Jean Georges and Head Judge on Bravo’s Top Chef Just Desserts likes Dorie Greenspan’s Cookiebar. Chris Ford, Executive Pastry Chef at Michael Mina’s Wit and Wisdom in Baltimore and of winner of Food & Wine‘s first People’s Best New Pastry Chef likes Chikalicious‘ chocolate chip cookie. 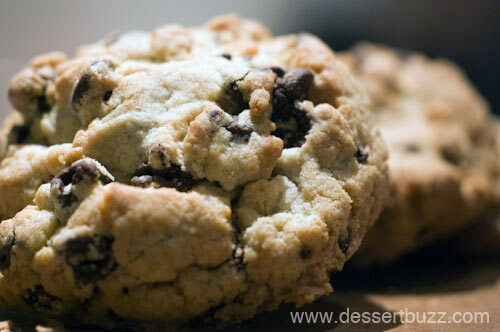 Pichet Ong, Chef and Pastry Chef Consultant, wouldn’t commit to any one NYC cookie–however he did say this “raw sometimes intimidates me a little but I do like [chocolate chip cookies] crispy outside and pillowy and chewy inside. 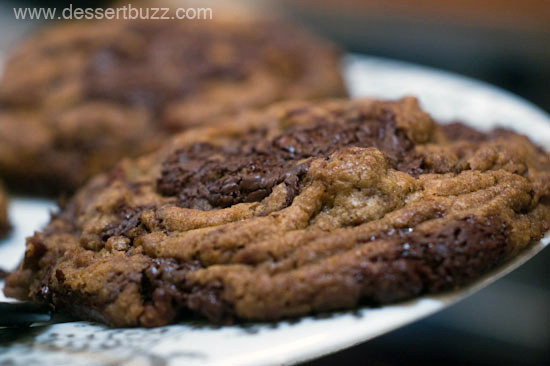 And the quality of the chocolate is important to me – which makes it hard as many [bakeries] won’t spend the money for a good chocolate chip cookie in NYC. 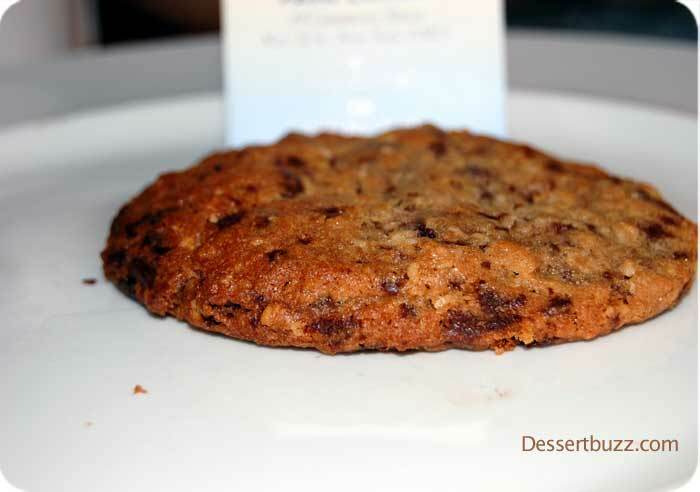 Francisco Migoya, Associate Professor of Baking and Pastry Arts at the CIA and former Executive Pastry Chef for the French Laundry Group didn’t name names but did give his preference for a cookie with a “chewy center and crisp on the outside”. 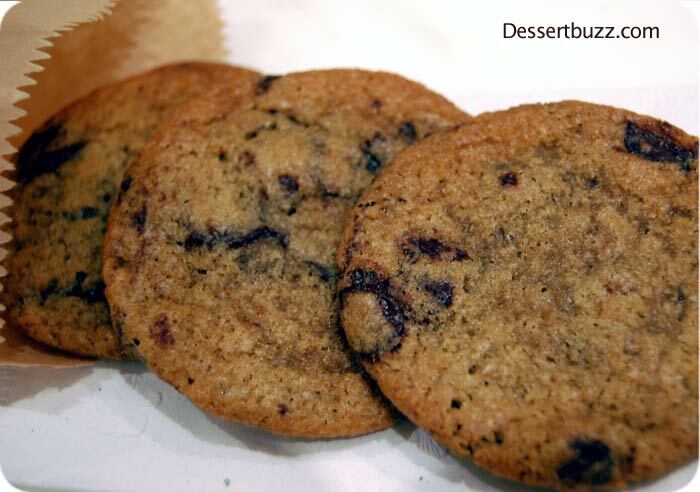 Some of DessertBuzz’s other favorite Chocolate Chip Cookies include those from Dessert Truck Works [retail store closed] , Jaques Torres (this author’s favorite), Silver Moon Bakery and Petrossian. 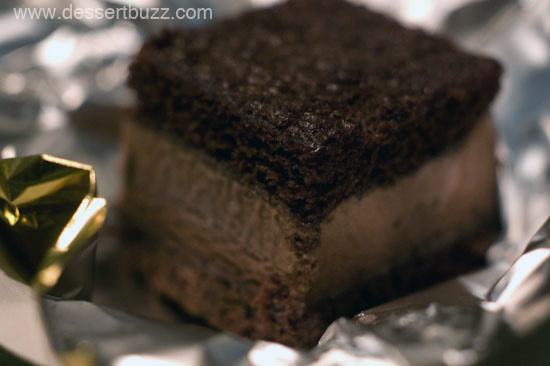 Read more about the DessertBuzz Favorites here. For a second opinion check out the December 2009 Serious Eats “Best chocolate chip cookie in New York” round-up. 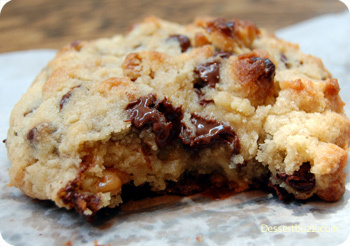 Dorie Greenspan’s Cookiebar is mostly via mail order but they frequently have popup shops in NYC. 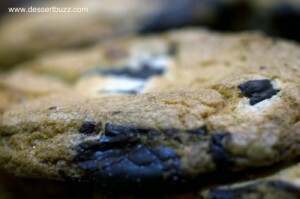 Cookiebar‘s website is here. Milk and Cookies is located at 19 Commerce Street. Their website is here. Dessert Club Chikalicious is located on 204 East 10th Street (at 2nd Ave). Their website is here. @kerrin deal! Great cookie roundup BTW.